So you have just washed and cleaned your toddler's shoes and out s/he goes running into the garden puddle (there is just something about puddles that is so attractive to toddlers, don't you agree?) the next minute again and ta-da, his shoes are all muddy and wet again. Tell me you're not frustrated - we wouldn't believe you anyway! Thankfully, there are water shoes invented to tackle this very problem that every parent would face. And we don't mean the water boots. But let's give some credit to our little ones, sometimes, it is not their fault. They will need water shoes for activities like kayaking or hiking and the likes but one thing that is for sure: gone are the days where you have to wash stinky soaked shoes every other day - ah, music to the ears! 1. What Exactly Are Water Shoes? 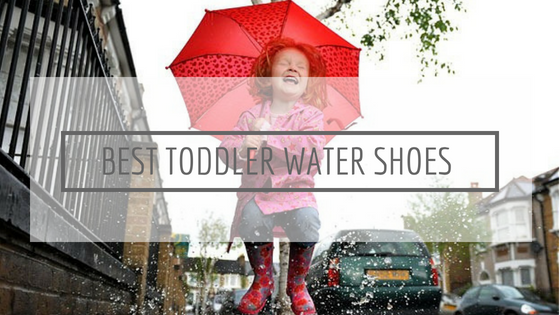 In short, they are like your everyday normal toddler shoes, but waterproof. They don't have a high neck like boots do, but the difference doesn't stop just there. When we say they are waterproof, it does not merely mean they keep water out of the shoes, but rather, it means they can be submerged into water without creating a foul odor thanks to its bacteria/mold-resistant materials. It also has a slip-resistant sole and a quick-dry body so it allows your child's feet to breathe normally. This is why it is also a highly popular choice as an everyday summer shoes for many. Water shoes create a protective barrier between your child's feet and the wet surroundings (think river, lakes and oceans) where potential harm like sharp rocks, jagged seashells, broken glass etc. easily exists. Aside from keeping dangerous objects away, water shoes also provide better comfort for your child's feet because they do not rub against their feet (and cause blisters) like wet normal shoes do. If not for other reasons, this alone should be enough to convince you that you need to buy your toddler a pair of water shoes. Because of the materials they are made of, water shoes do not leave a breeding ground for fungi or bacteria that thrive in wet/moist and warm condition to grow. Incidentally, this also means they do not emit a foul smell like wet normal shoes would. Toddler shoes can generally be divided into 3 types. Choosing the best water shoes for toddlers depends on 1 very important question - what is the purpose for? With a skin-tight fit that covers the whole of your feet, it has the thinnest sole out of all types and are the best shoes for water sports like kayaking, canoeing or jet-skiing because they are less bulky. It keeps you from slipping or blistering and keeps sand out. However, it does not provide much protection in terms of rough terrains, which the following category is a more suitable option. These ones look like your normal shoes but they dry quickly to allow breathability because of the materials they are made of (usually plastic or mesh). They have a thicker sole to protect the little feet which is why they are the best water shoes for kayaking. And depending on the beach's condition (are there a lot of shells/trash), they make for the best water shoes for beach too. As you can see from the picture left as well as its name, these are water shoes in sandals form in that they resemble the functions of water shoes, but without the toes covered, so lesser protection. They will also let sand enter, so keep that in mind if your toddler is sand-repellant. They make for the best summer shoes because of their open-toe breathability. When you go swimming in the pool or the ocean, you don't want bulky water shoes hindering your movement, especially if your little one is still at the beginner/learning stage. You do want a solid rubber sole to prevent slipping because it's going to be slippery around the pool, and to also create a barrier between your child's feet and the hot cement floor/ hot sand. 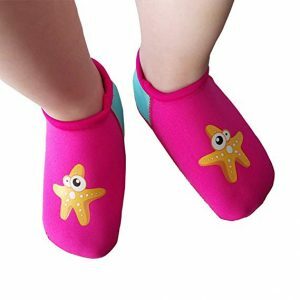 Unless the beach that you frequented is particularly rocky, otherwise, aqua socks are sufficient to protect your child's feet from sharp objects/shells. 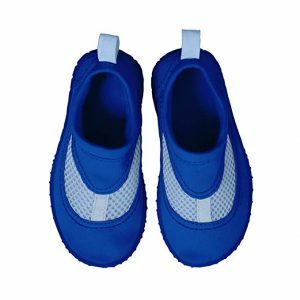 The Vifuur Water Sports Shoes Quick Dry Aqua Socks is one of the best rated water shoes for swimming both in the pool and the ocean. These aqua socks are super lightweight and are made from breathable, soft and smooth fabrics with fine stretch on the uppers so they give the most comfortable and perfect fit, aside from being easy to wear and take off. A smooth neck design prevents chafing and the top quality rubber outsole prevents any slips as well as protect your child's feet from being hurt by sharp objects. Available in various sizes to fit both toddlers and adults, there are many colours and designs to choose from. If not for the beach and swimming pool, the Vifuur Aqua Socks is also one of the best shoes for water aerobics for the adults. The Giotto Kids Swim Water Shoes is perfect for the beach, pool, playground, swimming and even running with its quick drying and anti-slipping features. One of the lightest aqua socks, it gives a barefoot feeling for your kid's maximum comfort be it in or by the water. The fabruc used is elastic enough for a close, supportive fit and it is one of the best water shoes for kids in our opinion because it dries in no time, therefore there will be no sogginess and smell that builds up. Available in a wide range of designs, you will definitely be able to find the best style that you like for your little one. 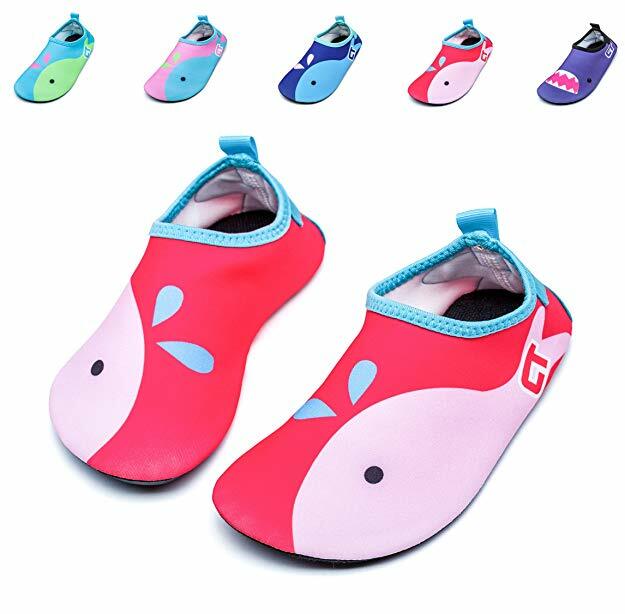 The SUIEK Baby Boys Girls Infant Water Shoes is the best water shoes for young infants. Even if s/he may not be able to walk or swim properly yet, these socks protect them from the hot sand when they go to the beach with you. Going as small as 4.9 inches, the SUIEK is perfect for their small feet at the beach and in water. The waterproof neoprene material keep their feet warm in water, not to mention they stay on great in water. Even if they do come off, these water shoes float so you can retrieve them easily. 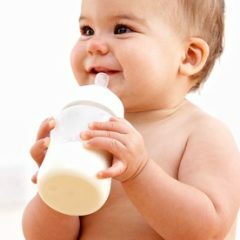 Soft and comfortable and weighing about 0.07 pounds, it won't create and burden or bulk on the little feet. Parents even use them for new walkers and backyard playing around because they are just so comfortable! For something more heavy duty around the beach and water, we recommend the i play. Baby Toddler Water Shoes. Different from water socks, this one here is a water shoe with a thicker and solid rubber sole to protect your child's feet from sharp rocks and edges. The non-slip material provides traction when walking on slippery surfaces and parents especially love the flexible material and pull-loop that gives an easy on and off. 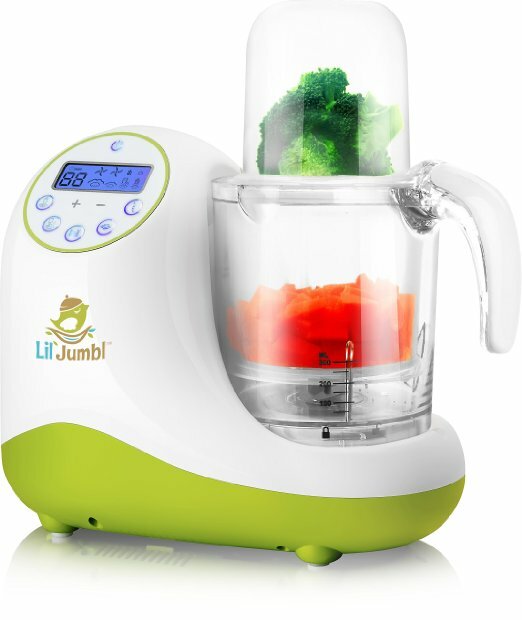 Available in 5 different colours, the i play. Baby Toddler Water Shoes has a breathable mesh on the shoes upper that keeps your child's feet dry and airy at all times. No worries about athletes foot developing there! The best water shoes for hiking and kayaking will definitely be the water shoes type because they give the best form of protection with a much thicker sole and wrap-around feature. They usually also have a reinforced toe that is made from thick plastic or rubber to keep your little one from stabbing their toes on unseen underwater obstacles, something that is foreseeable and much needed especially if you're kayaking with them. An all-around wrap will also keep any other irritants on the ground. You can probably tell why the Native Jefferson Slip-On Sneaker is one of the bestselling water shoes for hiking and kayaking of all times based on the picture alone. With a thick grippy rubber sole to provide traction, the Jefferson has a waterproof slip-on sneaker design that features perforations on the upper for maximum ventilation to promise falter-free fun. Made fully in the USA with a lightweight, injection-molded EVA (Ethylene Vinyl Acetate) that molds to the feet, it is very lightweight, washable, shock absorbent and odor-resistant. It also has rubber rand and toe to give extra protection. One thing to note with the Native Jefferson is that they only do whole sizes only, so if your little one is between size, we recommend sizing down because these water shoes tend to run on the larger side. 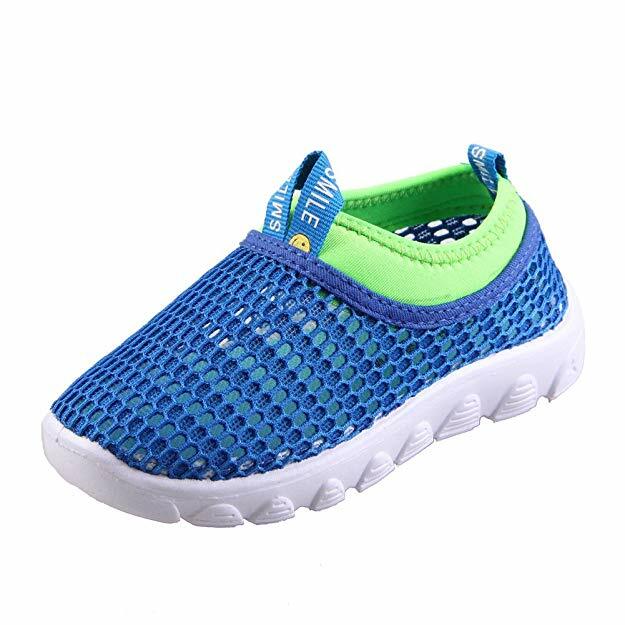 Coming from a brand with more than 85 years of experience in making children footwear, you know you can trust the Stride Rite Made 2 Play Phibian Sneaker Sandal Water Shoe. As you can probably tell from its name already, this is a crossover between a shoe and a sandal. 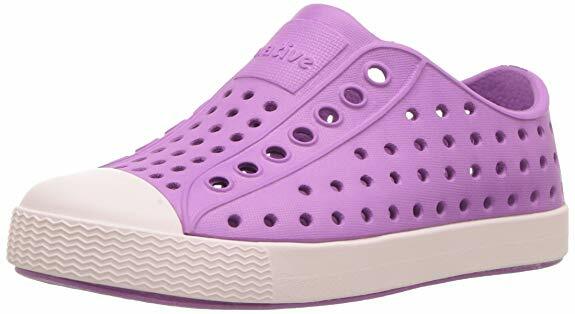 Shaped like a classic sneaker with secure hook and loop closure, it also has ventilated perforations all around for maximum breathability and its shaft measures approximately low-top from the arch. Also made in the USA, it has a synthetic sole and rubber pods on the outsole for non-slip grip. The thread sole will grip onto any surfaces from pool deck to playground to hike trails. It also uses EVA for its upper which makes the Phibian super quick to dry. When things get messy, just toss it into the washer, otherwise, hose them down with your garden hose before children enter the house. 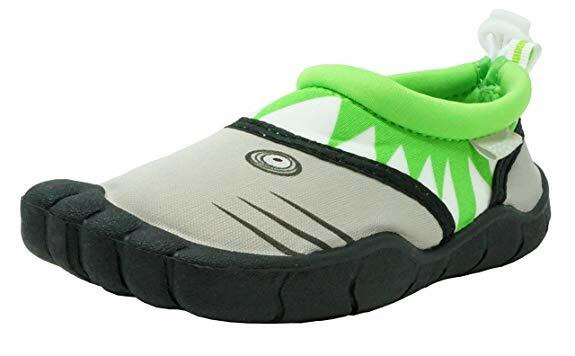 Psst, this is also one of the most popular toddler boy water shoes that your boys will most likely not want to take off! The Speedo Surfwalker Pro 2.0 Water Shoes (Toddler) is one of the best water shoes for hiking thanks to its S-Trac thermoplastic rubber outsole that offers not just water management and flow dispersion but also protection from the hot ground and sharp stuffs. It also enhances direct surface contact to improve traction and slip resistance to ensure the safety of your child on hiking trails. What also makes it an excellent choice for kayaking is the air mesh insert panel that promotes quick dry and maximum comfort. A durable four-way stretch upper and an adjusting strap closure for easy on and off makes the Speedo Surfwalker Pro 2.0 Toddler Water Shoes a parents' favourite when it comes to choosing the best water shoes for kayaking and hiking. Compare to hiking, the Fresko Toddler and Little Kid Water Shoes is more like the best water shoes for kayaking because it is designed for more aquatic activities. Be it water aerobics, kayaking, canoeing or even paddle boarding, these will protect the little feet from the rocky riverbeds with its rubber patterned outsoles. 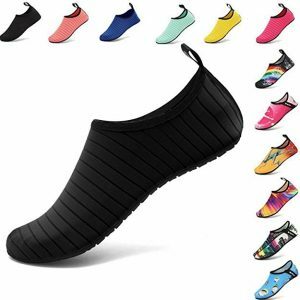 The neoprene upper is water resistant, form fitting and elastic and it gives the best fit (almost like a sock) compare to the others reviewed in this category. Although it's not perforated, the side panels are actually made of breathable mesh to keep the feet comfortable, cool and dry quickly. You will love the adjustable velcro closure and heel pull tab because they just make putting on a breeze. Available in many diferent styles and colours, the Fresko is perfect for the rivers, water parks, lakes or generally any mud puddles. Toddler sandals make for the best toddler shoes in summer time because of their open toe airy nature that keeps sweaty feet dry and odor-less. We love the Teva Tidepool Sport Sandal for many reasons. First of all, it is different from the usual water sandals in that it offers a closed toe option like that shown in the picture above. This gives protection to your child's toes because lets face it, children are not exactly the most cautious walkers. 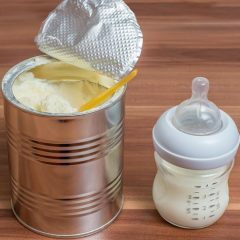 At the same time, there is still enough airflow to go through to keep the little feet from sweating too much on hot summer days to prevent any odor or bacteria building. Another thing to love about the Teva Tidepool is its Velcro closure which allow the easiest putting on and removing. This is because you can open the sandals as wide apart as required to slip the tiny feet in and adjust the snugness level to make sure they don't come off easily. 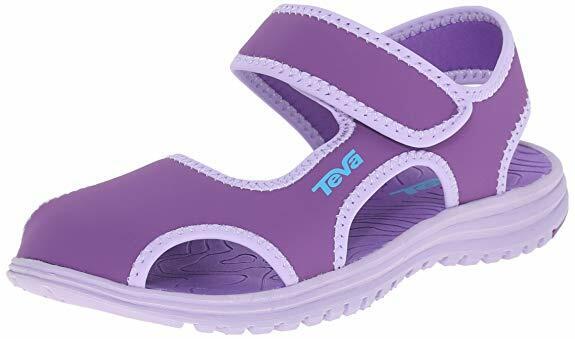 There are fully open-toed versions available as well if they are your preference, otherwise, the Teva Tidepool is available in a variety of colours and sizes, from first year up to 12 years old. 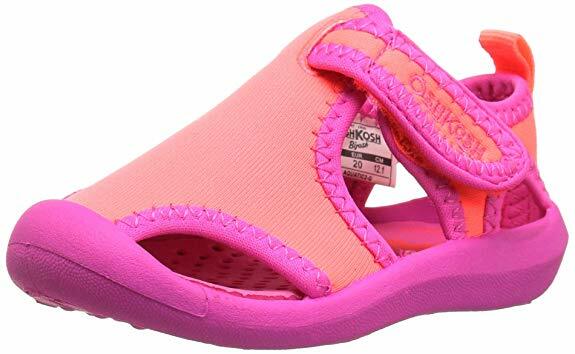 Another alternative to that of the Teva Tidepool is the OshKosh B'Gosh Kids Aquatic Water Shoe which has a similar close toe design with cutout sides for the ultimate protection and comfort. Made of 100% man-made soft materials to keep the little feet comfy and water-ready, it has a rubber sole and flexible outsole to protect against the rough terrains. It also has a Velcro hook and loop closure for easy on and off aside for a customized fit that grows with your child. With its bright pink and peach design, the OshKosh B'Gosh is a popular toddler girl water shoes but fret not, it is available in a red/navy combination too for the boys. 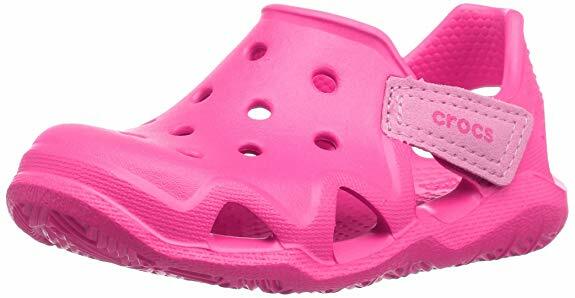 Another popular toddler girl water shoes is the Crocs Kids' Swiftwater Wave Sandal that comes in this bright fuschia colour. In terms of its functionality, well, they are Crocs! Known for their innovative and comfort styles, the Swiftwater Wave Sandal takes on the look of the original and most famous design - the Classic Clogs that is made of Croslite foam construction that won't absorb water. This means they won't soak up and turn soggy in water, and the synthetic sole protects them from anywhere on land or around water. 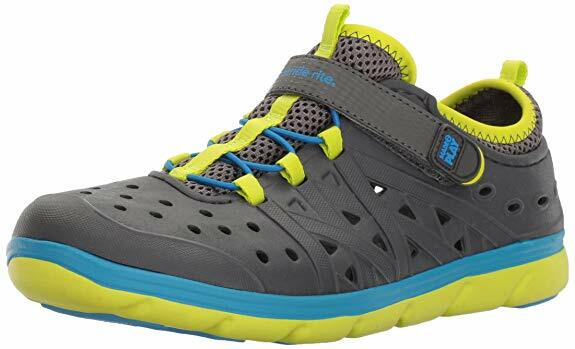 And at such a lightweight offering a relaxed fit, it is no wonder the Crocs Swiftwater Wave Sandal is one of the best toddler shoes for everyday walking, if not for water or hiking purposes. 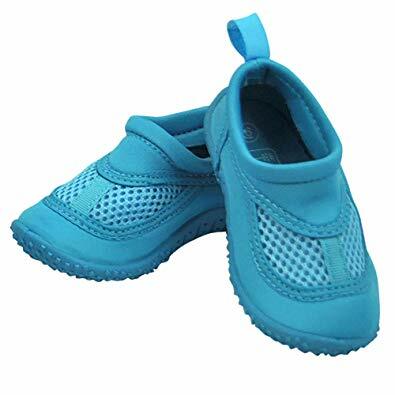 Speaking of everyday toddler shoes, the CIOR Kids Aqua Shoes Breathable Slip-On Sneakers is one of the best toddler walking shoes for every use. Not quite the water sandal type in that it is a close-toe wrap around option, it is still a great option for summer time because of the honeycomb mesh design that gives a 3D cycle ventilation system to remove moisture, prevent sweaty feet and keep the feet dry and comfortable. Equally breathable mesh lining is used to prevent hurting the little feet and a reinforced toe cap is incorporated to prevent your child from touching any hard objects. Be it going to the pool, beach or river and lakes, aside from toddler water shoes, one very important gear that you must put on baby is a toddler/infant life jacket. Check out our review here to see what are some of the best infant life jacket in the market.